Moving Forward provides a complete range of moving services for residential, commercial and office clients throughout California. The company has the training and equipment to handle moving projects of every size, and it also offers packing services for the convenience of its customers. 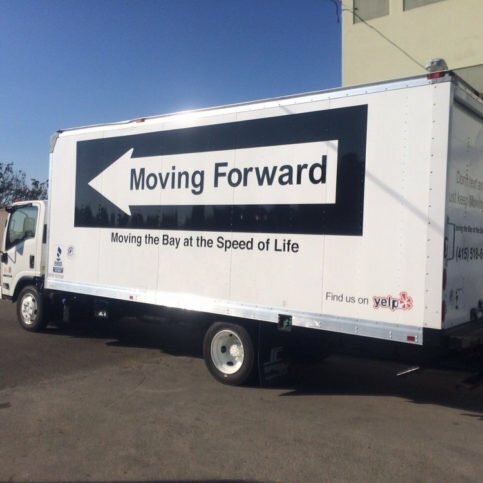 Moving Forward has been providing moving services for residential, commercial and office clients throughout California since 2012. The company has the in-house capabilities to handle moving projects of every size, and it also offers packing services for its customers’ convenience. If you’re moving to a new home or office, make sure you plan ahead to achieve the best results. Planning ahead will also give you time to decide if it’s more cost-effective to leave behind heavy items like appliances and mattresses or invest in new ones. Another benefit is being able to compare estimates from several moving companies that offer similar services to find the one that will best serve your needs. Most moving companies offer free estimates, so you should take advantage of that and plan ahead so you aren’t caught in a rush. Taking your time to choose a company will also give you an opportunity to check references and make sure the company you’re planning to hire performs background checks on all its employees, has the right licenses and certifications, and offers full value protection on your belongings. Rogue movers that aren’t licensed with the Public Utilities Commission will leave you completely unprotected. If you hire an unlicensed company, you won’t have any recourse if the mover damages your property, holds your belongings hostage for more money or doesn’t adhere to industry standards. It can also be helpful to ask your friends, family members and coworkers for moving company recommendations. Some companies overbook and drop their least profitable moving projects with little or no notice, so by getting a recommendation from someone you trust, you’ll be able to ensure a company’s ability to follow through with your project. Q: Do I need a parking permit for my move? Q: Are your moving trucks stocked with everything that’s necessary for my move? Q: What happens if your movers break something? Q: Can you move valuable items like antiques and paintings? 1. Verify parking. As any Bay Area resident knows, parking in San Francisco can be challenging, to say the least. If you live in a busy area, make it a point to reserve one or more parking spaces in front of your home or apartment building for the day of your move. The process is fairly simple: just call the San Francisco Municipal Transportation Agency (SFMTA) and ask for a parking permit. To ensure your space doesn’t get booked by someone else, call to reserve at least two weeks in advance. Keep in mind that parking permits are valid from 8am to 5pm, so you’ll want to be all moved out by the end of that time frame. 2. Reserve an elevator. With the many high-rise buildings in the city, a move in San Francisco often involves as much vertical transit as horizontal. Dealing with elevators during a move can be time-consuming, especially if you have to share them with other tenants. Fortunately, if your building has multiple elevators, you may be able to reserve one for your move—just inquire with your building manager. Keep in mind that elevator transit can considerably extend your moving time frame, so you’ll want to be proactive about having your things packed and ready to go. 3. Don’t forget to make reservations at your new location. In the course of reserving parking and an elevator at your current residence, make sure you remember to reserve them at your new one, if needed. You shouldn’t have any issue reserving two different parking spots on the same day—again, just make sure you do this well in advance. Moving Forward : Average 9.4 out of 10 based on 100 unique customer surveys of customer satisfaction. Very reliable, and they worked really fast. Their efficiency, and their price is great for a big move. They were all around wonderful. I love them, and they are good at what they do. They have great customer service, and they are super flexible, 'A+'. They were helpful, safe, professional, and great. 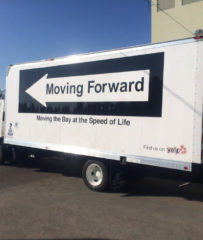 If they are planning on doing a move, they should contact Moving Forward. Their pricing was competitive. There was only one minor glitch, as they came at 11:00 AM when we were scheduled for 9:30 AM. They took really good care of our stuff, they were efficient, quick, and I would use them again. They were phenomenal, and I have recommended them to several friends who have used them already. It was just easy, and the pricing was super straightforward. I have told people that they were very professional, quick, and cost efficient. The guys were extremely friendly, and they were just great guys. I liked working with them. It was a good service, and the movers were very professional. They knew how to move all of my stuff, and they were fast and efficient. They were professional, they weren't having a lot of conversations, and they were swift up the stairs. They were all business. They were generally easygoing, and I didn't feel like I was getting taken advantage of whatsoever. They got done in 3 hours, and they were very thorough. I have already put them in touch with other friends of mine. They are extremely professional, courteous, and hardworking. They actually went above what I needed help with. They reassembled furniture, and they fixed my couch, which had been broken by a previous moving company. They were fast and efficient. I didn't have anything damaged whatsoever, which was especially important moving into a downtown, high-rise building. They were able to complete the job in three hours when I was quoted four. They communicated well, and they were very good at what they did. They showed up at the right time, and they did exactly what they should do. They were just very convenient. At the most basic, they delivered best in class service at a competitive and affordable rate. I thought they did the job that I expected very well, and they went above and beyond in keeping track of furniture and small items. They were prompt, they were efficient, and they worked hard. In our case, they had a few challenges with some of the furniture they had to move, but they kept at it until they were able to move them. I just felt like they were great people to work with. Luis, the owner, was great. He knew what he was doing, and he came and got the job done. He was good. My understanding is that they provide only local services, but I don't know if that is true or not, as I didn't dig into that. They were very efficient, and they gave me a decent price. They also had the insurance that was needed. They are very prompt, helpful, and they get the job done quickly. They are on time and very professional.